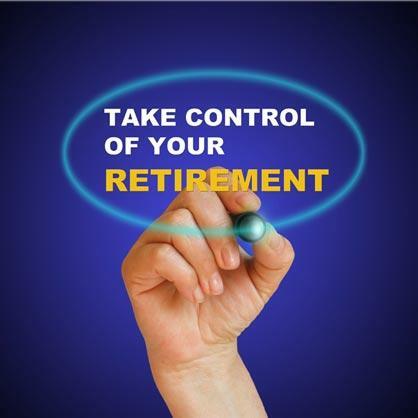 Tens of millions of Americans are looking forward to the day they can retire comfortably. Others enjoy their profession and can’t imagine a life without work. Yet, even those folks recognize that one day they won’t wake up on a Monday morning and head into the office. In either case, they share a common goal—a comfortable retirement that doesn’t force them into a drastic lifestyle change. And while it’s a well-worn out cliché, a failure to plan is another way of saying that you are really planning to fail. Fortunately, we can confidently and humbly say that those who utilize our guidance aren’t in that category. Our retired clients whom we work with on a regular basis have set clear financial goals and are comfortable with their monthly retirement income. As I’ve done in many client newsletters over the years, I want to take a step back and talk about the basics and review serious mistakes that retirees sometimes make with their money. Sadly, scams are proliferating in today’s tech-driven world. They are just a mouse-click away. One must always be on guard. That is why I am leading off with a warning about financial fraud. I recently came across an article that illustrated how home buyers were being scammed out of their down payment. Long story short, a buyer unsuspectingly receives and acts on fraudulent wire instructions from hackers who have hacked into the computer of their real estate agent. The hackers are posing as their agent. Unfortunately, once the money has been wired out to a hacker rarely is there any recourse for retrieving it. I provide this illustration because the criminal mind is only limited by creativity. Scams, including investment scams, come in multiple forms. I continue to read about new Ponzi schemes almost every month. If you believe an alternative investment might be worth considering, but a lack of expertise prevents you from formulating the right questions to make a prudent decision, I promise I will provide you with a fair and objective assessment. It's better to be safe than sorry. I don’t want you to be taken by con artists. I don’t want you to go through the pain of being victimized. I’ve seen it before, and it breaks my heart. Once you retire, there may be the temptation to shift spending toward new hobbies or travel. Unless you have substantial reserves set aside, spending too much too soon could create unwanted stress and exacerbate worries that you might outlive your assets in retirement. Set up a budget and look for ways to trim expenses without a significant change in lifestyle. I know a recent retiree who financially is in great shape. For much of her life, she’s shopped at Goodwill for her clothes and still enjoys “finding deals,” as she puts it. Simple lifestyle changes can sometimes yield substantial savings. If you own your home, might it be time to consider downsizing? You can lower your utilities, maintenance, property taxes, insurance, and more by moving into a smaller home that doesn’t appreciably impact your lifestyle. As you near or enter retirement, the more aggressive posture that served you well may no longer be appropriate. It goes without saying there may not be enough time to make up unanticipated market losses, especially if you are forced to liquidate to cover normal or unexpected expenses. While time-tested principles can guide us, each situation is unique, and we can assist you in finding the right balance. It may be tempting to file for Social Security when you reach 62. But, did you know that you will reduce your monthly benefit by 25% by not waiting until full retirement—now 66 years of age? Every year you delay past full retirement age increases your monthly check by 8%, until you reach 70, where you’d receive another 32%. Plus, the annual cost of living adjustment is based on your current benefits. So, if you delay, you will not only receive a larger monthly check, but the annual cost of living increases will be based on the larger base amount. Married couples have several options that are not available to those who are single. And let’s not overlook spousal benefits, which may be eligible for even those who are divorced. Social Security offers many options and strategies. If you are so inclined, give me a call at 330-836-700 to set up a meeting to discuss what may work best for you. Many are aware that IRA or 401k distributions are taxable, but sometimes fail to adequately prepare (or talk with their CPA) when taking distributions. If you file as an individual and your combined income (adjusted gross income + nontaxable interest + ½ of your Social Security benefits) is between $25,000 and $34,000, you may have to pay income tax on up to 50% of your benefits. If the total is more than $34,000, up to 85% of your benefits may be taxable. For married couples, raise the numbers to $32,000-$44,000 and $44,000, respectively (Income Taxes and Your Social Security Benefits). As always, I’m happy to assist you but feel free to consult with your tax advisor. Stimulate your mind. Some like to read; others enjoy puzzles or brain teasers. Or you might consider an online class. I know of one retiree in his late 70s who is now taking banjo lessons.